Keep an eye on your email wherever you are! Exchange Online provides the standard features of Exchange Server, including access to email, calendars, contacts and tasks from different devices. Get business messaging capabilities without the operational overload that comes from the software, releasing your IT resources for strategic use within the company. Through advanced security features, it provides information protection and keeps your defenses up to date. Get capabilities of data loss prevention (DLP), provide reliability and availability with a financially backed service level agreement with 99.9% guaranteed uptime. Get the advantage of hosting data in Microsoft servers, even while maintaining control of your environment. Manage your organization efficiently, create lists of approved mobile devices, apply PIN lock and remove confidential data of the company in lost phones. Eliminate time and effort of providing maintenance to the email system; it is now easier than ever. 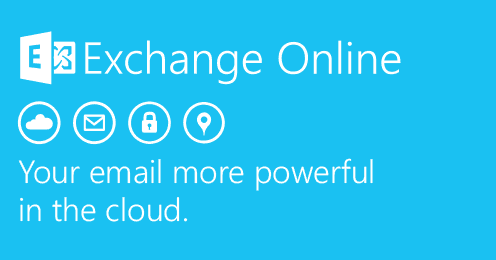 Exchange Online provides perfect integration with Outlook, lets you keep your important information in one place and consistent access from anywhere. Protects your email against spam and malware, and keeps access to email during and after emergencies. This tool provides a number of protection features that are implemented through a global network of data centers, which helps simplify the administration of your messaging environments. Migesa has the necessary experience, certifications, and qualified engineers to integrate the solution to your company. Meet the services of Exchange Service and compare the advantages of having your email infrastructure On Premise or in the cloud.